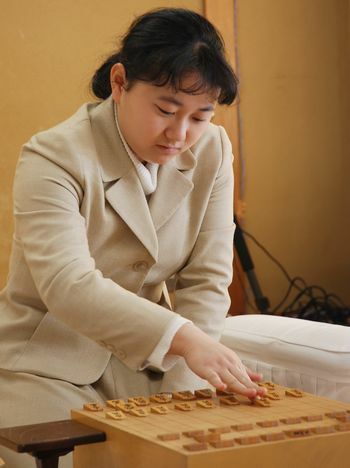 Today is the day for a game of 2nd round for 2nd Mynavi Joshi Open(Challenger deciding knokout tournament) between Saida Haruko(Joryu 4 dan) and Iwane Shinobu(Joryu sho dan) at Tokyo Shogi Kaikan of JSA. It started at 10:00 am. As a result of Furigoma, Iwane became Sente player.